San Antonio Metropolitan Health District (Metro Health) is confirming the first case of measles in Bexar County. 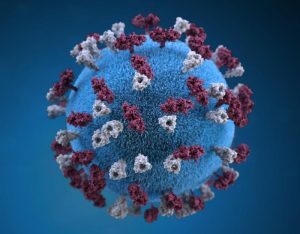 This case is associated with the case of measles from Guadalupe County reported by the Texas Department of State Health Services on March 6, 2019. The last recorded case of measles in Bexar County was in 2007. This brings the total measles cases in Texas to 14 this year. Texas had nine confirmed cases in 2018 and one in 2017. Measles is a highly contagious respiratory illness transmitted when an infected person coughs or sneezes virus particles into the air. The illness usually starts a week or two after someone is exposed to the virus with symptoms like a high fever, cough, runny nose and red, watery eyes. A few days later, the telltale rash breaks out as flat, red spots on the face and then spreads down the neck and trunk to the rest of the body. A person is contagious about four days before the rash appears to four days after. People with measles should stay home from work or school during that period.